MOOSIC, PA (December 20, 2018) - The Scranton/Wilkes-Barre RailRiders, in partnership with Maines Food and Party Warehouse, will once again offer the Pinstripe Pals program, supporting area youth softball and baseball leagues. 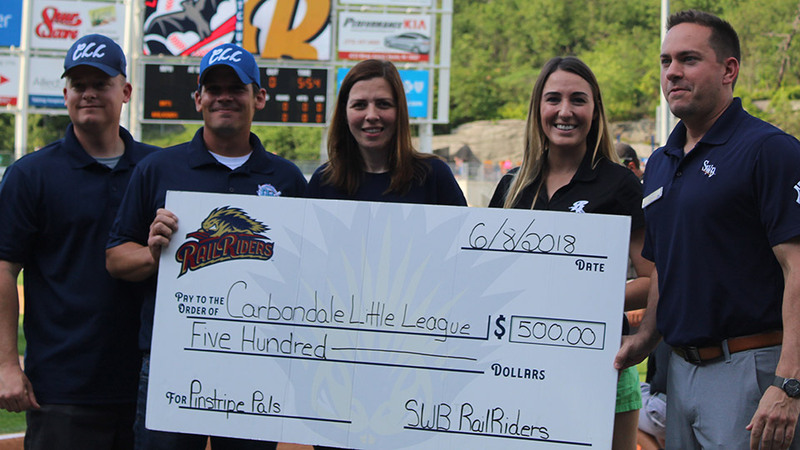 Applications are being accepted now and 10 youth leagues will be chosen to receive a sponsorship from the RailRiders and a gift card from Maines. 2019 marks year five of this tremendous program, which includes a $500 sponsorship to teams in the area pay for costly supplies, such as uniforms and equipment. It also includes a $500 gift card to Maines, which can be used to help teams pay for items for concessions, thus raising more money for their team. League representatives are encouraged to fill out the Pinstripe Pals application form and submit a 500 word essay describing why their league should be chosen. The deadline to apply is Friday, February 22, 2019. 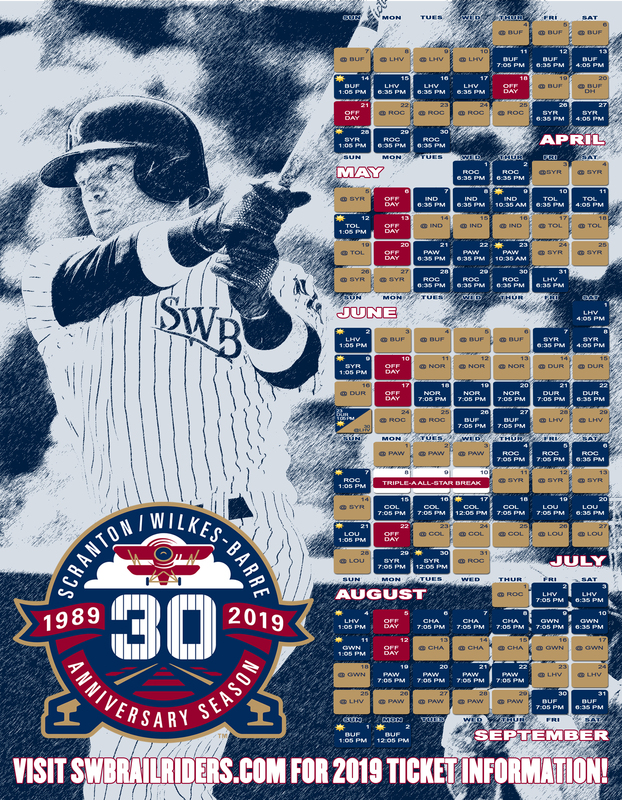 * The opportunity to honor your league at a RailRiders game including a pre-game parade on the field and the opportunity for RailRiders assistance with league fundraising. For more information on the Pinstripe Pals program, presented by Maines, please contact Jordan Maydole or Robby Judge at 570-969-BALL. The 2019 season opens in Buffalo on April 4 with the home opener on April 11 at PNC Field.